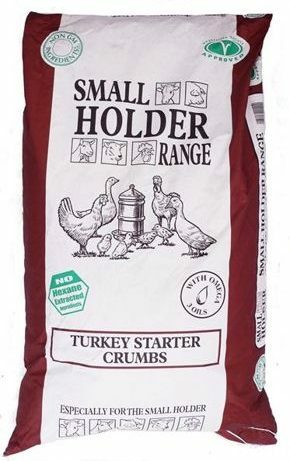 Turkey Starter Crumbs can be fed from hatching through to 5 weeks. • There are no synthetic amino acids used in this feed. • This feed is drug free and does not contain a coccidiostat. • This feed is also suitable for quail and game chicks. 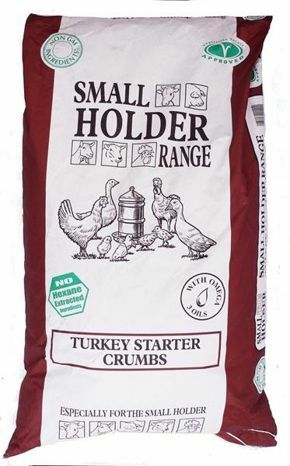 Feed Turkey Starter Crumb from hatching up to about 5 weeks old on an ad lib basis before changing to Turkey Grower / Finisher. This feed should be fed with ad lib fresh water.